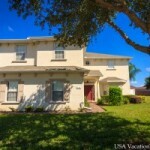 We recently purchased a property in Orlando. An acquaintance recommended that we contact An Flamand as they have used her as a realtor and their experience was very positive. On meeting An we immediately felt comfortable, her knowledge and experience is vast and we quickly realized that she would be the best person to work with in purchasing a property. Every step of the buying process was effortless, An acted promptly on all matters, we are an overseas buyer and went back to the UK after making an offer on our property however it was not a problem, An’s great communication skills made sure that the purchase competed smoothly. We cannot thank her enough, we continue to work with An and highly recommend her if you are looking for a reliable, knowledgeable, efficient and trustworthy realtor.